Right now we're on hiatus from our Lucky Stars QAL as those of you who are working on it have time to catch up or finish! 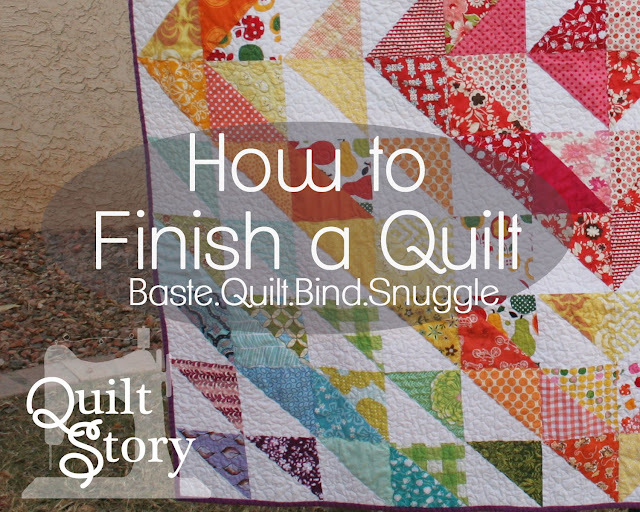 As part of the QAL we've decided to give a step-by-step on how to finish a quilt. Whether you're a first timer, beginner or seasoned pro hopefully you can find some new ideas today! I do not have a quilt to show you step by step tutorial with photos how we do it. 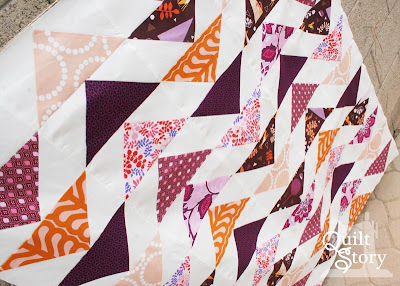 What I am going to do is go through each step, let you know how Heather and I finish our quilts, what we think works or not and include a lot of links to great tutorials from other quilters. Note: I have not reviewed thoroughly every link. Several I have used and some I have just glanced over. Choosing your binding. Again you will want to prewash your fabrics (especially if they aren't quality quilting cottons). Consider your binding design. Generally a smaller print works best or a solid. You will only see about 1/2 inch of the print on either side of the quilt. It's a good idea to bring your quilt top with you as you shop so you can hold it up together. Polka dots and stripes are great...just consider the direction you will cut the print (if you're doing it on the bias, more on that later). For example you probably do not want the stripes to run the same direction as your quilt. Backings need to be about 3" larger all around than the size of your quilt. 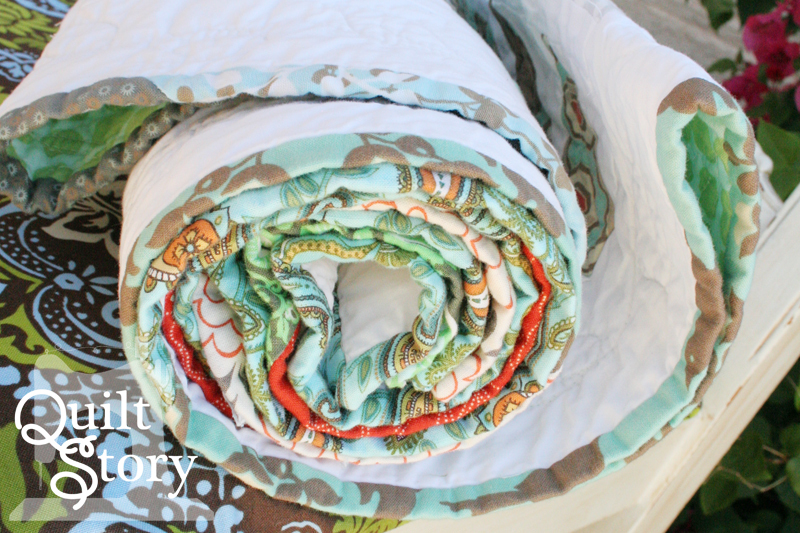 If you are making larger than a baby size quilt you will likely need to piece your backing. 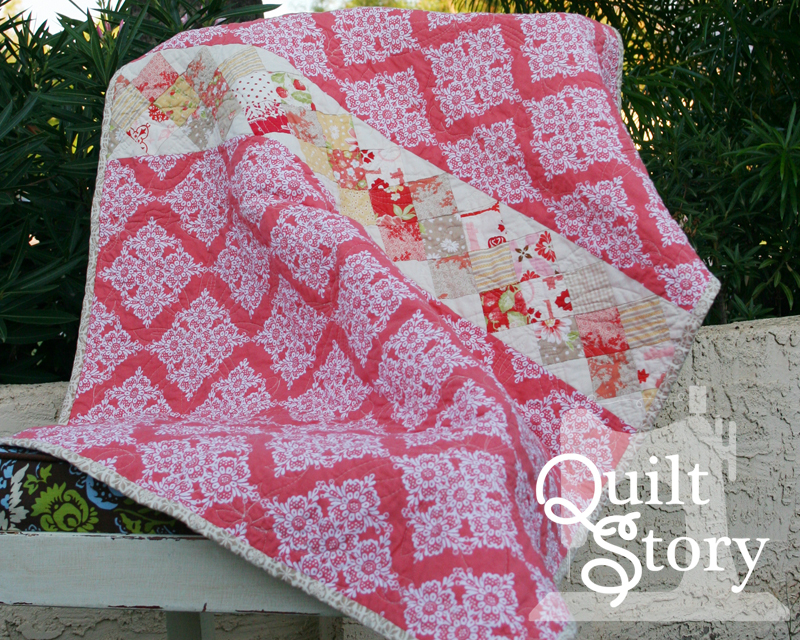 You can use a quilter's cotton or for something warmer (and thicker) minky and flannel are a great option. Heather and I have done many quilts using both cottons and minky. If you do back with minky it will prove to be slightly more challenging when quilting. It is thicker and more slippery. That said it is definitely doable and generally my preference. Batting. There are a lot of options and varieties, I won't pretend to know it all! Here is what I (think) I know. First option is the thickness of the batting (or the loft) thinner batting is generally used for machine and hand quilting. 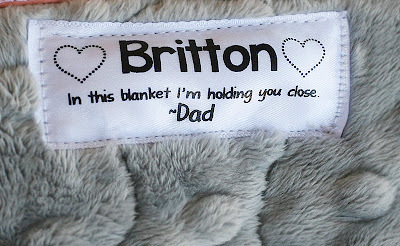 Thicker batting is the type used in comforters that you may have seen tied. Next is the fiber or what material it is made of. Commonly is cotton, polyester and a cotton/poly blend. If it has cotton it will shrink. Usually quilters (like H and I) like the look of a crinkled quilt. Because of that we recommend a cotton/poly blend. To baste a quilt you'll need a large flat surface. Use masking tape and place the quilt backing right side down. Tape to the ground so it is taut but not stretched. Next your batting (which should be slightly smaller than the backing but larger than your quilt top). Then your quilt top on the top with the right side facing up. You've made a quilt sandwich. Mmmm...a sandwhich. You need all these layers to stay together without folding or creasing. There are two ways to achieve this. Pin basting and spray basting. Heather and I have done both and we both prefer spray baste. We use Dritz Spray Baste from Joann. If you can find a brand you like at Joann or somewhere similar I recommend it. It can be pricey and at least you can use coupons. There you have it! Hopefully you do not feel overwhelmed but informed. The only true way to learn all of this is through experience. Choose a method and go with it. You'll learn as you practice and try different techniques. If I've missed any great resources or gaps in the process please let me know in the comments. Great little tutorial! I add my quilt labels after basting, but before quilting so that I don't have any hand stitching, and so the quilting stitches go through the label, making it a permanent part of the quilt. I have a step by step tutorial on my blog that shows how to do this (since everyone always asks about my labels). Let me know if you want the link! So much info here - and extra links too! Very useful. The only thing I would add is that you should decide if someone else is going to quilt your quilt before you make your back or baste your quilt - that way you can find out from them how they prefer it be done. Longarm quilters particularly vary on how large they want the back to be - better to find out before than after! 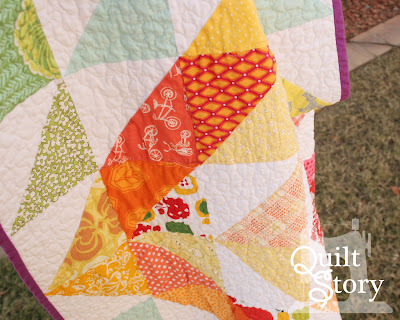 Thanks for this post...sometimes finishing the quilt is the hardest part for me. I pinned the quilt showing the lovely backing, with the pieced row. So so pretty!